It’s Dad’s Delicious Dim Sum Day of the Year at Silver Waves! December 5th is an important day for all Thais as not only is it the birthdate of the beloved late King Bhumiphol but it’s also the official Father’s Day in Thailand. 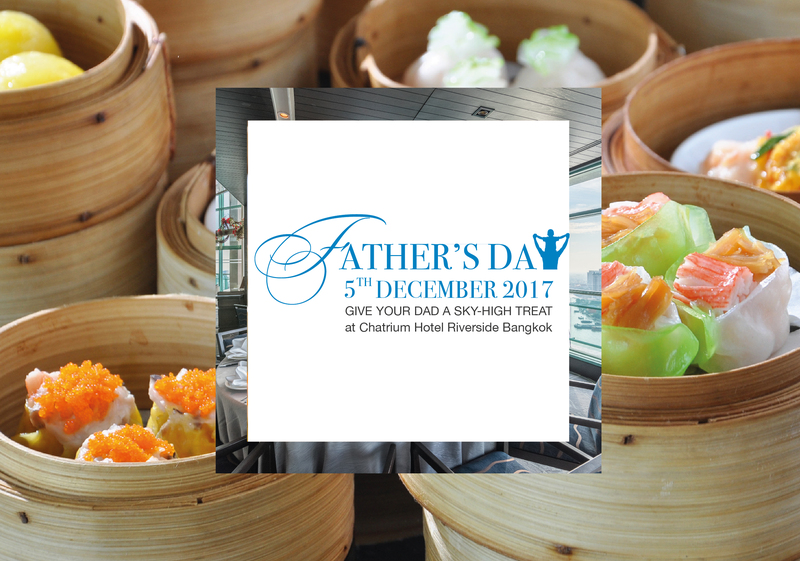 This special day is the one day of the year when you can really show your loving dad how much he means to you and what an important part of your life he truly is, and what better way to celebrate than with a smack-up Father’s Day Dim Sum Lunch Buffet at Silver Waves Chinese Restaurant in Chatrium Hotel Riverside Bangkok? High above the gently flowing Chao Phraya River on the 36th Floor of the hotel Silver Waves serves the finest Cantonese fare in the capital courtesy of Chef and his talented team and on Father’s Day dad’s in for a real treat with a selection of fresh homemade dim sum accompanied by some absolutely stunning bird’s eye views. So if you want to impress your fantastic father with an incomparably fantastic lunch you know where to head! The Father’s Day Dim Sum Lunch Buffet is available on December 5th 2017 at Silver Waves Chinese Restaurant priced at THB 1,150 net for adults and THB 575 net for children.